Mansfield Town fans have had little to chew the fat over so far this summer with only two new additions. 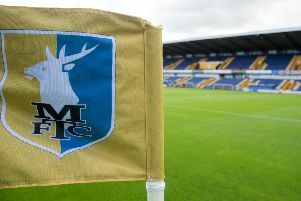 Yet the approach the Radfords are taking in my view sends a warning to agents and players looking for a pay day – the Stags are not to be messed with. At the time of writing David Flitcroft has only made two new additions to his squad for the forthcoming season in Matt Preston and Neal Bishop, and whilst there may be a murmur of frustration starting to amply, I personally think our silence speaks volumes. Last summer under the hypnosis of Steve Evans and the lure of promotion, the Radfords completed their business swiftly with the majority of the 15 signings completed within the first two weeks of the transfer window. I still maintain my belief that they spent two seasons budget in one transfer window and, as such, are rightfully being more cautious now. The desperation to sign a player no doubt plays into an agent’s hands and I do wonder if the Radfords have found it tougher to negotiate terms this time around. Even so, I have full faith in them in wading through the ocean of players looking for a move to find the right one. We already know that there will not be as many coming through the door this time around and that there are likely to be departures too. I think seven was the number John Radford mentioned at the ‘Evening With’ event, and with two already signed, that leaves five left to find. It would be easy to just go and pick five players with reputations, but we’ve been there and done that and are still at square one. The club have to be sure the players who come in are going to fit with what will be a new style of football and a new approach to achieving our ambitions. If that means taking more time to consider the options then so be it. At the end of the day, promotion will not be won or lost by who completes their business the quickest. The task comes in fusing together the players, the tactics and the clubs development plan – I firmly believe that David Flitcroft is the man to do that. Over the course of the close season as you know, myself and the Mansfield Matters team have been meeting up with former players to put together a series for charity. It was the recent episode with Stuart Watkiss which woke me up to the development side of things. He spoke honestly about his progression from youth team coach to first team manager and how training in close proximity and having a link between the teams helped take the club up a division back in 2002. Everyone talks about the talent the club produced back then, and the reason for it was because the two teams often trained together or within close proximity and the manager (Bill Dearden) was not afraid of blooding youth players at the expense of senior pros – in fact he insisted on it. If you look at our current set-up, John Dempster has done a phenomenal job in creating a winning environment, but the first team manager has shown little interest in getting them involved. I don’t think Adam Murray can shoulder that blame as the youth team was in its very early stages during his tenure, but Steve Evans for sure didn’t have his eye on the ball when it came to the club’s development program. Is that down to location? It could be. The Stags were predominately training on the top pitch at the One Call, while the youth team were finding their feet 65 miles down the M1. That will all change when the new Woburn Lane facility opens later this year, bringing everyone back under the same roof, and I’ve no doubt that rather than use the loan market, David Flitcroft will introduce hungry home grown players into the mix. The forthcoming season is going to throw up much more of a challenge. David Flitcroft faces a number of hurdles – the biggest of which is winning the supporters over having not won a home game since he took charge, not to mention assembling a squad which re-ignites the imagination and belief of the fans. That’s football though isn’t it? It’s full of challenges, full of opinions and full of emotion. The fast-paced twists and turns of a season are what we thrive upon, and no matter what’s been before, really we just can’t wait to do it all over again!